Posted on February 11, 2019 by Danny Arguetty. This entry was posted in Life Events and Changes and tagged dare to do, Life Events and Changes. Bookmark the permalink. 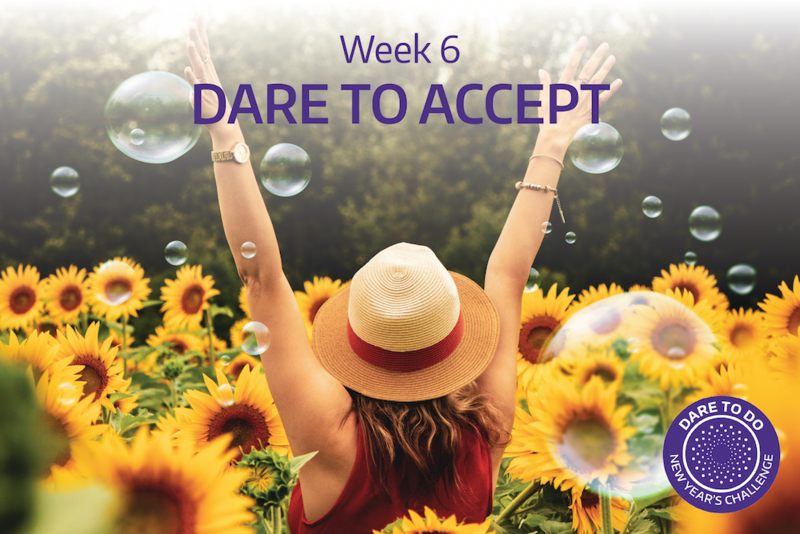 This week, as part of our ongoing Dare to Do challenge, we’re focusing on strategies for and benefits of accepting oneself. Danny Arguetty, manager of UW Recreation’s Mindfulness Program, took time to reflect on ways to welcome acceptance into your life and the positive growth and outcomes that come about when you do. Human beings are wonderfully complicated creatures. As we navigate the various facets of life, this gift of complexity is both a blessing as well as a conduit for challenge. Part of this journey involves inevitable conflict with both external and internal forces and when we engage with these happenings without enough awareness and skill, it can often lead to a sense of frustration, exhaustion, self-blame, and quick disregard for the experience of others. As a further result, it can be harder to connect to and source a sense of ease, contentment, and even enjoyment in this state of constant resistance or irritation. Often, the first step in navigating an internal and external conflict is to pause, step back, and courageously dare to accept what is there or who is there. In a way, it is the ability to check-in with reality—as opposed to getting swept away by our emotional and sometimes inaccurate stories—before deciding to take action. For example, on the internal front we all have various diverse personas of our personality. Some are nicer than others. And while it can be of value to explore how they each formed, at one point—especially with the less friendly ones—it is vital to simply welcome them and accept they exist. For years I tried to resist and ignore this internal voice but then I shifted tactics. I accepted him, invited him in for tea, asked him questions, recognized that on the other side of the perfectionist coin lives discerning Danny which actually serves me well in certain situations. By accepting first I learned how to better channel this part of myself to create more vitality and less strain. When we are able to dive into our inner workings and accept the less than shiny parts of our persona, it often makes it much easier to welcome others as they are. For years I was put off by my stepmother’s abrupt nature and attempted to aggressively change her. It was only when I accepted her as she was and recognized the ways in which she was offering love that our relationship softened and shifted. When you dare to accept, something shifts. It can be a wonderful starting point to taking a more conscious and skillful step. It doesn’t mean you need to be complicit, or not stand up or communicate what you believe in or need. It is simply a way to bypass the reactive storm that might push you to engage with life in a less than ideal way. Next time you hear your internal voice of unfriendliness, or you find yourself faced with conflict or irritation with another, run the experiment. See what happens if you step back, accept first, and then slowly move forward. Who knows, you might find a bit more ease, contentment, or even some joy waiting on the other side. For more from Danny, explore and reset with a special retreat he’ll be leading on Saturday, March 2, from 9:30 a.m. to 4:00 p.m. You will take time to welcome the coming spring season, move your body, sit and contemplate, and awaken your creative spark to better support the months ahead. Learn more and register here. 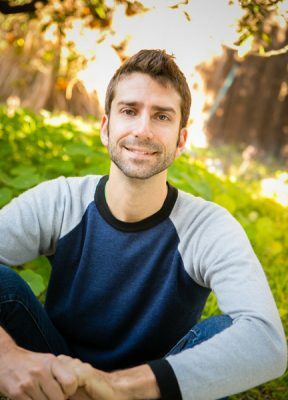 Danny Arguetty, M.A., is the mindfulness manager at the University of Washington, a yoga teacher (and teacher trainer), nutrition/life coach, and a lover of the environment. He is the author of Nourishing the Teacher and The 6 Qualities of Consciousness. Passionate about helping people flourish through mindfulness, wellness, and personal self-development, he has over a decade’s worth of experience in group facilitation, one-on-one coaching, and experiential teaching. Danny has guided workshops throughout the United States, led basic and advanced yoga trainings in the U.S. and India, and spoken at Facebook, Olson Kundig, Gravity Payments, Seattle Children’s, UW Foster School of Business, School of Social Work, School of Medicine, and The Whole U. Very timely for our family dynamics. Love the quote. “You’re not okay, I’m not okay, and that’s okay.”.May I copy this article? Of course. Glad it connected!